We received these hi-res files from Summit and while these stills are not of Vladimir (Noel Fisher), I wanted to share with our followers. Don’t forget to enter our contest to win both versions of this issue. TSBD2-002058 (L-R) TRACEY HEGGINS and JUDITH SHEKONI star in THE TWILIGHT SAGA: BREAKING DAWN-PART 2 Ph: Andrew Cooper, SMPSP © 2011 Summit Entertainment, LLC. All rights reserved. TSBD2-003159 CASEY LaBOW and MyANNA BURING star in THE TWILIGHT SAGA: BREAKING DAWN-PART 2 Ph: Andrew Cooper, SMPSP © 2011 Summit Entertainment, LLC. All rights reserved. TSBD2-005045 (L-R) CHRISTIAN CAMARGO and MIA MAESTRO star in THE TWILIGHT SAGA: BREAKING DAWN-PART 2 Ph: Andrew Cooper, SMPSP © 2011 Summit Entertainment, LLC. All rights reserved. TSBD2-011274 KRISTEN STEWART and MACKENZIE FOY star in THE TWILIGHT SAGA: BREAKING DAWN-PART 2 Ph: Andrew Cooper, SMPSP © 2011 Summit Entertainment, LLC. All rights reserved. TSBD2-017752 (L-R) TAYLOR LAUTNER and MACKENZIE FOY star in THE TWILIGHT SAGA: BREAKING DAWN-PART 2 Ph: Andrew Cooper, SMPSP © 2011 Summit Entertainment, LLC. All rights reserved. TSBD2-020885 (L-R) DAKOTA FANNING and CAMERON BRIGHT star in THE TWILIGHT SAGA: BREAKING DAWN-PART 2 Ph: Andrew Cooper, SMPSP © 2011 Summit Entertainment, LLC. All rights reserved. 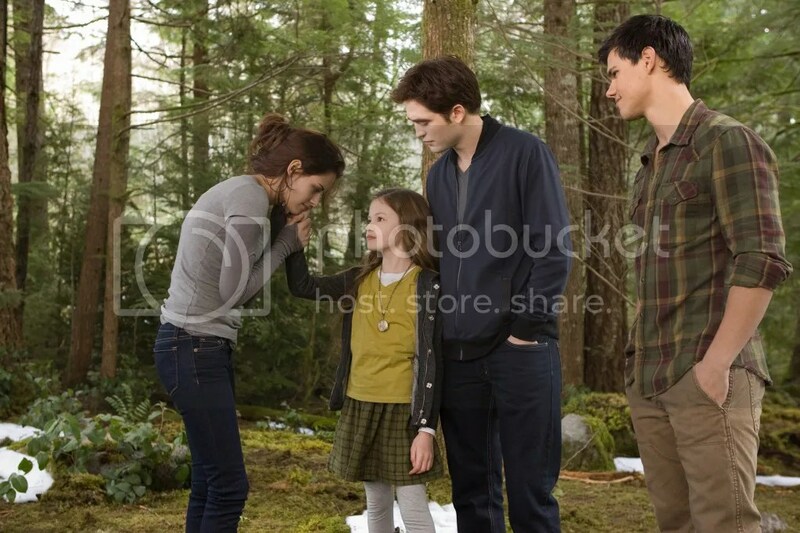 TSBD2-022563 (L-R) KRISTEN STEWART, MACKENZIE FOY, ROBERT PATTINSON and TAYLOR LAUTNER star in THE TWILIGHT SAGA: BREAKING DAWN-PART 2 Ph: Andrew Cooper, SMPSP © 2011 Summit Entertainment, LLC. All rights reserved. TSBD2-024250 (L-R) KELLAN LUTZ and KRISTEN STEWART star in THE TWILIGHT SAGA: BREAKING DAWN-PART 2 Ph: Andrew Cooper, SMPSP © 2011 Summit Entertainment, LLC. All rights reserved.